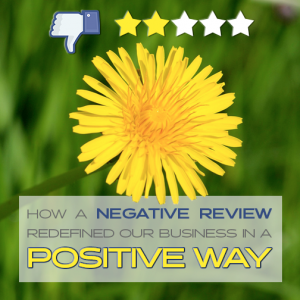 A couple of years ago, we received a negative review that, ultimately, resulted in a lost client. We won’t lie – it hurt. As a young company, a bad review can be a real punch to the gut. We lamented, of course. But then we made a choice. We chose to lick our wounds and convert our mishap with an unhappy client into an opportunity to improve. Since that unremarkable review, we have solidified several commitments that have redefined how we do business. REAL: Honest, transparent, and authentic in all we do. REACHABLE: By phone, email, carrier pigeon, or just dropping in – we’re here when you need us. RESPONSIVE: We’re sensitive to the need for timely communication and the execution of tasks. RELATIONSHIP-CENTERED: We don’t want to be known for just building websites, but how we build relationships. REPUTATION-DRIVEN: We work as though our next job depends on it. The high majority of our business over the years has come from referrals. That means something to us and keeps us motivated to always bring value and to always be improving. Our goal and passion is to empower small businesses to become more successful – and we believe our clients’ success is our success.